During the occupation that followed the U.S.-led invasion of Iraq in 2003, most Iraqi combat aircraft — MiG-23s, MiG-25s and Su-25s — were discovered by coalition forces in poor condition on various air bases, while others were discovered buried outside their bases or in nearby towns and villages where they had been abandoned. Most IrAF aircraft were destroyed during and after the invasion, and any remaining materiel was discarded in the immediate aftermath of the war. No aircraft acquired during the era of Saddam Hussein would be retained in service by the new Iraqi air arms. The Iraqi air force, or IQAF, began to rebuild after the war as part of an overall program to establish a new Iraqi defense force. When it stood up in 2004, the IQAF consisted of only 35 personnel. Today’s Iraqi air arms now include the IQAF and Iraqi army aviation, or IAA. In the first three years, IQAF cadets trained in Iraq and Jordan. By January 2005, with the receipt of three former USAF C-130E Hercules, around 65 members of the IQAF including four crews received an intensive four-month period of training in Jordan and at Tallil air base from the 23rd Advisory Support Team, part of the U.S. Air Force’s 77th Expeditionary Airlift Squadron from Little Rock, Arkansas. After Iraq ordered C-130J-30 Super Hercules in April 2009, the USAF started training Iraqi pilots and mechanics at the Rhode Island Air National Guard’s 143rd Airlift Wing at Quonset Air National Guard Base in North Kingstown. The USAF’s 52nd Expeditionary Flying Training Squadron handled initial training for new pilots on the Bell-206, OH-58C, SAMA CH-2000 and Seeker SB7L-360. The Iraqi Flight Training School opened its doors on Oct. 1, 2007, in Kirkuk. Work to restore the base following the coalition bombing campaign took around two years. The opening of the Iraqi Flight Training School coincided with the arrival of the first two Cessna 172S from a batch of 12 that Baghdad had ordered on March 8, 2003. The 52nd EFTS conducted initial training on the type. Iraqi student pilots fly the Skyhawk for 90 hours over a period of six months. On Dec. 16, 2009, simultaneous with the delivery of the first batch of four T-6As, the Iraqi Flight Training School became the Iraqi Air Force College and moved to Combat Operating Base Speicher near Tikrit. The initial four aircraft equipped the 3rd Training Squadron. The final batch of four aircraft left the United States on Nov. 8, 2010 and arrived in Iraq the following day, coinciding with the first graduation of 20 new Iraqi pilots — eight on fixed-wing and 12 on rotary-wing types. The graduations brought the total number of trained pilots to 102 — 55 fixed-wing and 47 rotary-wing. Initial flight training on the T-6A began on March 20, 2010. On Sept. 5, 2011, 11 trained Iraqi instructors took on the role of the U.S. instructors, whose mission was now complete. After several months of test flights, in February 2012 a total of 200 cadets began training on the Serbian-made Lasta-95N at Tikrit air base, home of the Air Force College. The first six aircraft were delivered to Iraq in August 2010. The final aircraft arrived in March 2011. In the meantime, eight Iraqi pilots twice visited the Technical Test Center at Serbia’s Batajnica airport for flight tests. They later became the first flying instructors on this aircraft in Iraq. However, only a month later, after a total of 600 flight hours, the fleet was grounded due to a problem with the Lycoming AEIO-580-B1A engines. Fixes, together with a modification of the flight controls, began in mid-May 2013. By mid-June 2014, the Islamic State killed at least 1,500 Shia Iraqi air force cadets studying at Tikrit Air Academy, a.k.a. Camp Speicher, following ISIS’s capture of Tikrit. Following the creation of the IFTS, Bell-206 and OH-58C helicopters joined the Iraqi Army Aviation College at Habbenayah air base respectively in the 200th and 300th Training Squadrons. IAA pilots begin basic flying training with 60 hours on the Bell-206 and OH-58C, followed by another 60 hours advanced flying training with the 16th or 85th Training Squadrons on the Mi-17 before moving to operational squadrons. In college, students study [their main academic course] for two years. In the third year they can choose a specialization among the many branches. One of these branches is Army Aviation. College students enter army aviation after a medical examination, and then they train for three to six months on ‘eastern’-type helicopters [Mi-17] and six months on Western helicopters [Bell 206 and OH-58]. Now there are two new training squadrons at the Army Aviation College, equipped with the Mi-17 — 16th and 85th Training Squadrons. Personally, after studying at the Army Aviation College, I was assigned to the 21st Attack Squadron on the Bell 407. I flew the type for more than five years, but I flew the UH-1H, too. I joined the Army in 2007 and graduated from the Academy the following year. Then I joined the new Flight Training School that had just been created. First, I flew the Cessna 172S and then switched quickly to helicopters — the Bell 206 and OH-58. I graduated as a helicopter pilot in 2010 with the Air Force College, which replaced the Training School. My first assignment was with the 88th Attack Squadron for six months training on Gazelles, on which I only flew 12 hours. My next, and current assignment was the 55th Attack Squadron on the Eurocopter EC635. On Feb. 1, 2015, Iraq received 16 Bell 407GX training helicopters to replace the old Bell-206s. Once in Iraq, the aircraft transferred to the Army Aviation College and the 200th Training Squadron. 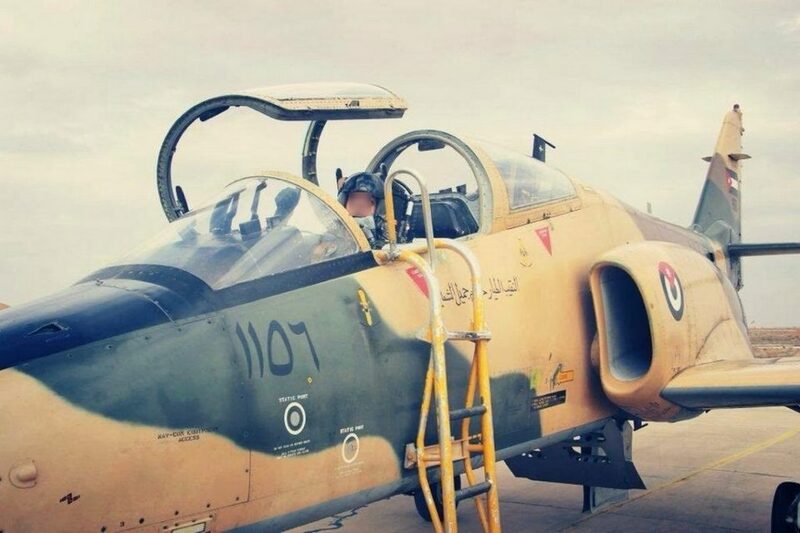 The Jordanian military regularly trains Iraqi pilots as part of defense agreements between the two countries. 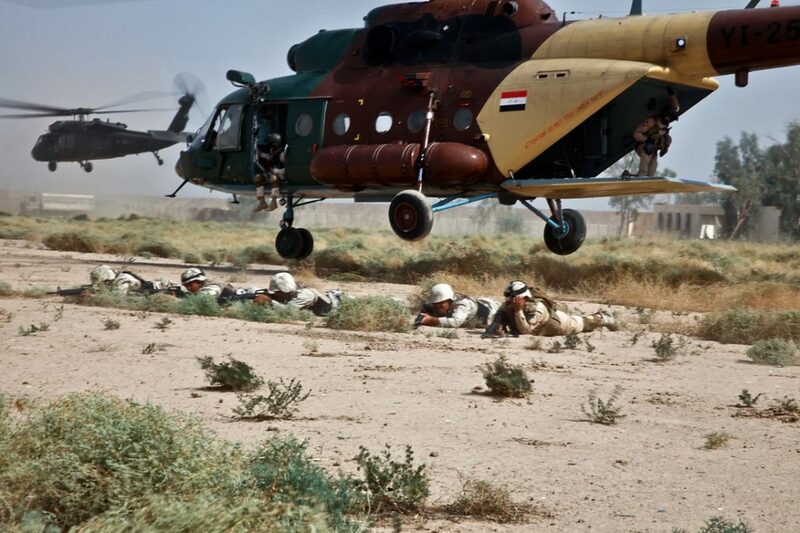 In May 2004 a group of Iraqi airmen graduated from helicopter flying training in Jordan. The Jordanian Flying Instructor School is based at the King Hussein Air College, Mafraq and operates the Slingsby T67 Firefly, CASA C-101 Aviojet and Hughes 500D/E. All pilot cadets initially train on the Firefly with No. 4 Training Squadron. Thereafter, they are assigned to either No. 11 Squadron equipped with the C-101, or No. 5 Training Helicopter Squadron equipped with the Hughes 500 for basic training and the UH-1H for advanced training, together with the AS350B3 Eurocopter. 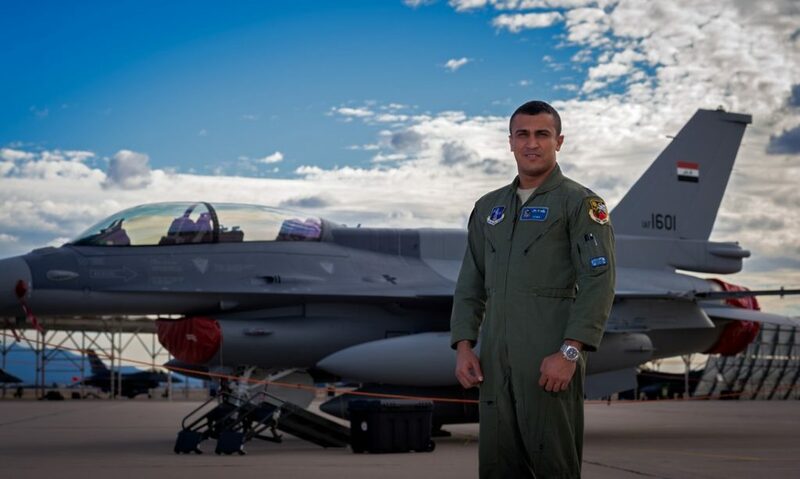 On March 6, 2015, Lt. Laith Ali Nasser of the IQAF was killed together with Jordanian instructor Lt. Col. Ibrahim Hasouneh while flying a Firefly from No. 4 Squadron. By June 2015, 475 Iraqi pilots had trained in Jordan. On Feb. 18, 2015 the president of the senate of Pakistan announced that his country would begin training Iraqi military pilots. Seven months later, it was reported that they had begun to train at the Pakistan Air Force Academy at Risalpur, using K-8 Karakorum aircraft in service with the College of Flying Training. Once at the CFT, cadets undergo three years of flying and academic training. The College operates three types of training aircraft — the MFI-17 Mushshak, Cessna T-37 and K-8. Cadets who successfully complete their flying training on the MFI-17 and T-37 are awarded their wings. After being graduated, Iraqi cadets will join Korea to fly on the T-50. 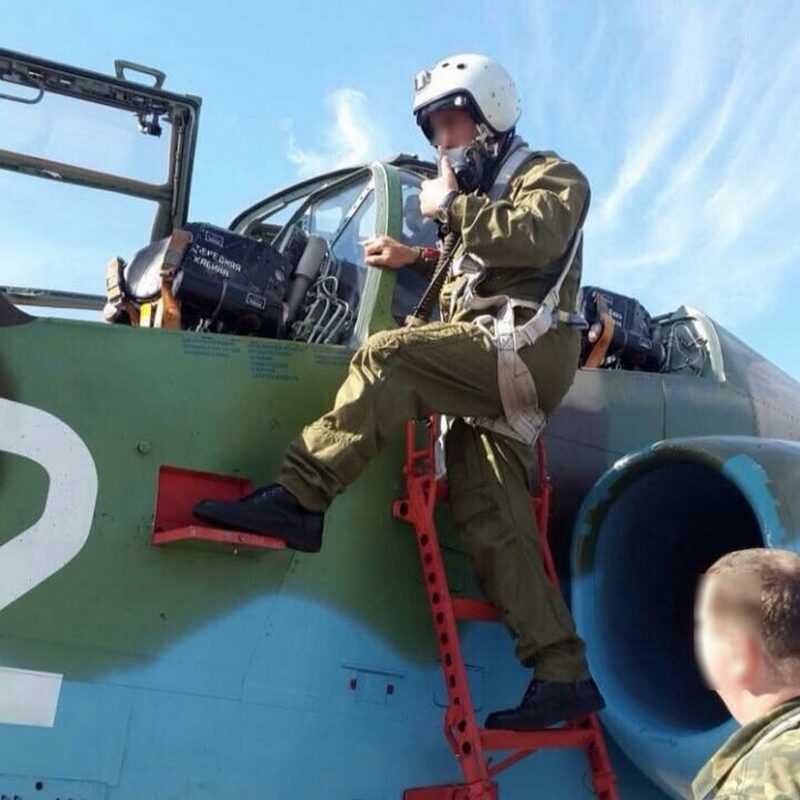 In September 2015, some Iraqi pilots have completed their training on Su-25s belonging to the Belarus air force. This new training session represents an effort to relieve increasing pressure and fatigue on current Iraqi Su-25 pilots. In January 2011, Iraq signed an initial contract worth $3 billion for 18 F-16C/D Block 52 fighters — 12 single-seat F-16Cs and six two-seat F-16Ds. In March 2012 the first Iraqi pilot graduated from Specialized Undergraduate Pilot Training in the United States. After the first two aircraft to be delivered relocated to the U.S. Air National Guard facility at Tucson International Airport in Arizona on Dec. 16, IQAF pilots began training on the two F-16Ds, serial numbers 1601 and 1602. The aircraft were temporarily assigned to the 152nd Fighter Squadron, part of the Arizona ANG’s 162nd Fighter Wing, which operates the USAF’s international F-16 training academy. Meanwhile, around 350 Iraqi technicians were receiving English-language training in Jordan in order to handle the aircraft. On June 25, 2015, F-16C serial number 1609 of the 162nd FW crashed, killing its pilot Brig. Gen. Rafid Mohammad Hassan. Training of IQAF pilots continues, and Baghdad has ordered another 18 F-16s.